Malaria and yellow fever are similar in the sense that they are both diseases carried by mosquitoes and move from one victim to the next. Neither malaria nor yellow fever can be transmitted between human beings. Yellow fever is caused by the transmission of the yellow fever viral element, whereas malaria is caused by the Plasmodic genus called eukaryotic protist. According to estimates by the World Health Organization, about 200,000 deaths are caused by yellow fever per year, while about 400 million people contract from malaria. The first case of yellow fever was officially recorded in 1793; malaria is believed to have affected humans for more than 500,000 years. The common types of malaria include plasmodium vivax, the mild version, and plasmodium falciparum, the most severe type that can be deadly, especially for immuno-compromised patients. The yellow fever virus has an incubation period of between 7 to 30 days. The incubation period for the malarial virus is between 3 to 6 days. In both cases, the symptoms begin showing within a week of infection. The symptoms of malaria include a headache as well as fever and tremors, whereas the first symptoms of yellow fever are seen in the kidneys and remission. Later symptoms are exhaustion, jaundice and vomiting. Malaria can affect any type of population but is commonly found in the tropics. Generally, yellow fever occurs in the equatorial region, which is why it is more common among Africans than Caucasians. Yellow fever can lead to internal hemorrhage, delirium, coma, and death. 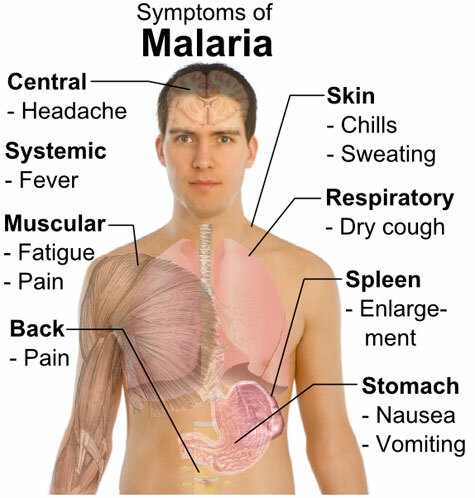 Malaria can cause retinal damage, convulsions and vomiting, as well as sweating and fever. Vaccinations for yellow fever are said to give protection for 10 years, but are not available in underdeveloped nations. Malaria is not preventable by vaccination and so travelers must resort to prophylactic remedies, which are not recommended for long-term use by native populations. 1. Yellow fever commonly occurs in the equatorial regions of Africa and Latin America, whereas malaria is prevalent in the tropics or sub-tropics of sub-Saharan areas, south Asia, etc. 2. A yellow fever vaccination lasts 10 years, but there is no vaccine available to prevent malaria. 3. Yellow fever symptoms include hemorrhage, vomiting, while those of malaria are fever and sweating. 4. Yellow fever was first recorded in 1793; malaria has been present for the last 500,000 years. Abishek. "Difference Between Malaria and Yellow Fever." DifferenceBetween.net. August 29, 2017 < http://www.differencebetween.net/science/health/difference-between-malaria-and-yellow-fever/ >. Interested in the latest on Malaria? Check out MalariaWorld, the world’s scientific and social network for malaria professionals. Registration, access, blogging and our weekly e-mail newsletter are free of charge. MalariaWorld currently has got 5460 members. Is Refregeration on food safety help to stop this epidemy …? ?